TRENTON – Acting Attorney General John J. Hoffman announced that eight people, including a former bank teller, have been charged with participating in an identity theft ring that used account information stolen from customers of TD Bank to steal more than $150,000 at bank branch offices in New Jersey. The eighth defendant was arrested today. The following seven defendants were indicted on Oct. 28 by a state grand jury on second-degree charges of conspiracy, theft by deception and identity theft. The indictment stems from an investigation by the Division of Criminal Justice Financial & Computer Crimes Bureau. 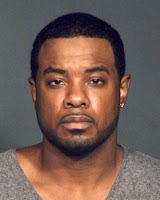 1.Bronthie K. Charles, 27, of Brooklyn, N.Y., a former teller at TD Bank. She allegedly stole the identities of TD Bank customers while working for the bank in New York from January 2012 to May 2013. 2.Divine D. Garcia Jr., 28, of Jersey City, N.J. He allegedly was the leader of the ring to whom Charles provided account information of TD Bank customers. Garcia was arrested on Nov. 5 at LaGuardia Airport by members of the U.S. Marshals Service Fugitive Task Force and the Port Authority of New York & New Jersey Police. 3.Robert A. Wadiak, 47, of Roselle Park, N.J. He and the remaining defendants in the indictment allegedly fraudulently assumed the identities of TD Bank customers to steal funds from TD Bank branch offices in New Jersey. Wadiak allegedly was involved in thefts of $111,500. 4.Kenneth L. Cummings, 53, of Philadelphia, Pa.
5.Blanche R. Lopez, 43, of Cliffside Park, N.J.
6.Rosa Samuels, 59, of Bronx, N.Y.
7.Demira D. Woodson, 22, of Roselle Park, N.J.
Cummings and Woodson also are charged with two counts each of third-degree money laundering. The eighth defendant, Antonio Clemente, 34, of the Bronx, N.Y., was arrested this morning in the Bronx by Division of Criminal Justice detectives and members of the U.S. Marshals Service Fugitive Task Force. Clemente allegedly helped Garcia run the ring, recruiting individuals to pose as bank account holders. He is charged with second-degree conspiracy, theft by deception and identity theft. The defendants allegedly conspired as members of an identity theft ring to use stolen customer account information to enter TD Bank branch offices and withdraw large sums of cash. The indictment charges them in connection with 21 separate thefts across New Jersey between April and July 2013 that totaled $155,500 and involved the use of eight stolen identities. The thefts ranged in amount from $3,500 to $9,000. Most of the identity theft victims were New York residents. The individuals who posed as account holders were provided with forged New York driver’s licenses and withdrawal slips that were already completed so that they could conduct the fraudulent transactions. The fake account holders allegedly included drug addicts and homeless persons who were sometimes provided with clothing to wear in the banks. TD Bank sustained the losses as a result of the thefts. Withdrawals were made at TD Bank branch offices in Absecon, Northfield, Galloway Township, Somers Point, Cherry Hill, Haddonfield, Stratford, Gloucester Township, Washington Township (Gloucester County), Deptford, West Deptford, Mantua, Glassboro, Mullica Hill, Williamstown and East Windsor. Deputy Attorney General Peter Gallagher presented the case to the state grand jury for the Division of Criminal Justice Financial & Computer Crimes Bureau. The investigation was conducted by Detective Richard Loufik, Detective Edward Augustyn III, Detective Anne Hayes, Detective Eric Ludwick, Detective Shawn Gorlin and Sgt. Frederick Weidman, under the supervision of Lt. David Nolan and Deputy Chief Al Buecker. Acting Attorney General Hoffman thanked the U.S. 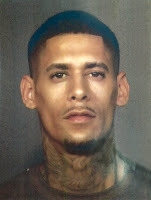 Marshals Service Fugitive Task Force and the Port Authority of New York & New Jersey Police for their assistance in arresting Garcia and Clemente. He also thanked the Queens and Bronx District Attorney’s Offices in New York and the New York City Police Department for their valuable assistance. Pending extradition, Garcia is being held in jail on Rikers Island in New York, and Clemente is also in custody in New York City. Wadiak is being held in the Atlantic County Jail. Samuels is in jail in Bucks County, Pa. The other defendants were issued summonses to appear for arraignment on Dec. 20 in Superior Court in Camden County. Second-degree crimes carry a sentence of five to 10 years in state prison and a fine of up to $150,000, while the third-degree money laundering charges carry a sentence of three to five years in state prison and a fine of up to $75,000. The indictment was handed up to Superior Court Judge Mary C. Jacobson in Mercer County, who assigned the case to Camden County, where the defendants will be ordered to appear in court for arraignment at a later date. The charges against Clemente will be presented to a grand jury for potential indictment.